How can the right finish improve my print communications? What are print finishes and how can the right finish improve durability, add impact, contribute to your brand in terms of prestige, or just generally add a professional or premium appearance to your print communications. ‘Finishing’ is a term used to refer to what happens to a job after it has been printed. There are a variety of different finishes to choose from, depending on your preference, budget, and the intended purpose of your print project. Some of the following print finishes are well worth discussing with your preferred graphic designer or design agency. 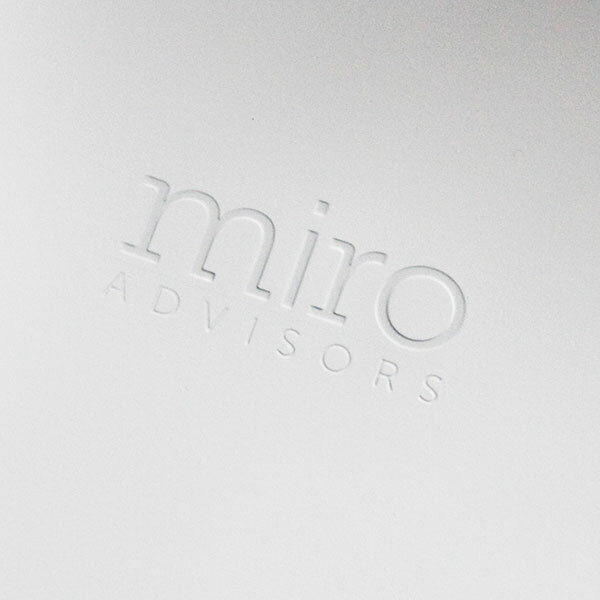 Print Finishes – An silver foiled logo. Foil blocking involves applying metallic or reflective foil to the page using heat and pressure. The foil sits on top of the paper and is more eye catching than ink. Silver or metallic foil blocking can look quite striking, and you can choose to use white foil on dark paper for effect. Matt foil is a little more subtle than metallic foil, or you might want to use colored or holographic foil for a more dramatic effect. Foil blocking can also be used add an extra layer of security to documents, for example, to guarantee authenticity on tickets or certificates. Varnishes can be used on matt or silk coated paper to prevent smudging, finger marks, or to enhance the appearance of a printed item. Varnish can be applied to the whole document, or just to a specific area, in which case it is known as ‘spot varnishing’. The five main types of varnish used in print finishing are machine, matt, silk, UV, and gloss – with gloss varnish being a more subtle version of gloss UV varnish. What is dry trap varnish? As well as being protective and sealing the printed material to preserve it, varnish can be applied to paper to give it a smooth and consistent texture and improve durability. Neutral varnish can be used to coat or seal the ink, gloss varnish gives the document a shiny coating, and matt varnish gives a smooth quality finish and has the benefit of not reflecting the light; silk is somewhere in between gloss and matt. You might also want to consider textured varnish (which gives a slightly rippled effect to the page), sparkly varnish, or tinted varnish. Lamination involves covering the paper with a thin plastic protective layer, and UV varnish achieves a similar result. However, UV varnish can be printed onto specific sections of the page to enhance an image, photograph, text, or logo. UV varnishes come in gloss, matt, glitter, tints, and an array of other finishes. To achieve stunning results, ultraviolet is used in an accelerated drying or ‘curing’ process on a special varnish. 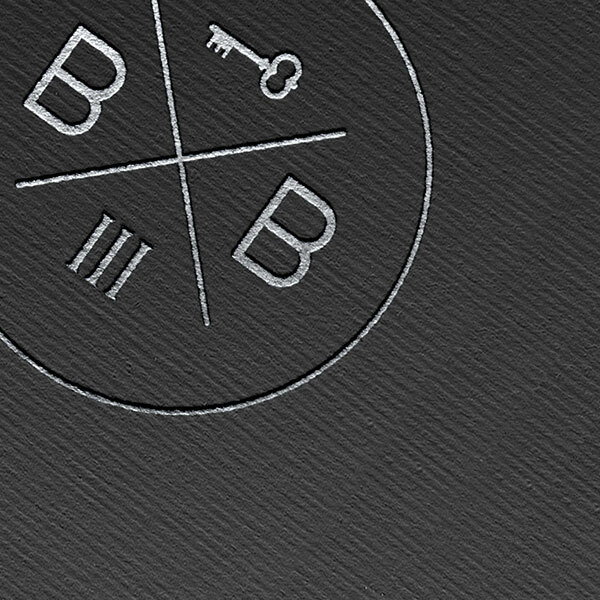 Print Finishes – An embossed logo on an annual report cover. Embossing is where logos or designs are raised (or depressed) onto the surface of the paper or card so you can actually feel the design with your fingertips when you rub them over the surface. Embossing can be combined with other techniques, such as foil stamping, for an even more striking result. Laser and die-cutting can be used to cut a design into the paper or card. A die is used to knock out a hole for an image to show through – setting colored paper behind the cut-out can be very effective. Die-cutting can be as simple as rounding off the corners of your business cards, a fun cut-out to catch the eye, a company logo, or something more sophisticated. Depending on what you aiming to achieve, you could combine several print finishes to create an entirely unique printed product. Talk to your graphic designer or design agency, to determine what is possible for your print project, and to make sure you achieve the right balance of techniques.The decorative finish you choose for your print communications could make all the difference to the finished product.